Conducting a competitive analysis is an absolute priority before beginning any SEO campaign. Your SEO strategy will vary depending on how your client’s website stacks up against the competition. Most marketers will analyze metrics like backlinks, indexed pages, social shares, and domain age. These are all important factors. But, one factor that most people never check is proximity. What Is Proximity In Local SEO? The “centroid” previously referred to the city centroid. But now, it refers to what is known as the Google+ Local Centroid. In short, the Google+ Local Centroid is the center point of the 7-pack listings that appear for localized queries. In the example below, you will notice that for the search term “plastic surgery tampa”, the 7-pack listings are not clustered near the center of Tampa or the downtown area, but they seem to group around 5 miles West of the downtown area. This location will serve as our Google Local Centroid for this keyword. Analyze the map. If there is a “centroid”, compare your client’s location to the centroid. If there is no centroid, then compare your client’s location to the map view. If your clients location is far from the centroid, then it may be difficult to get the client to rank in the 7-pack. The closer your client is to the centroid, the better chances they have of ranking in the 7-Pack. I should state that the centroid may change over time. In some cases, a website with very strong citations, content, backlinks, and domain age can rank in the 7-pack despite its proximity or even move the centroid. That is something I have seen very often after helping businesses with claiming and optimizing their citations. This is especially the case if their website was already ranking organically. In these cases, you may see the centroid change or the map view expand to include the newly optimized business. So far, this has been an easy read, but now it’s going to get a little bit more involved. What we are attempting to do next is to take Google’s organic search results (1-10), scrape the business addresses, then plot them on a custom Google map to determine if there is a “centroid” for the organic results. The results of this analysis will shock even experienced SEOs. I’ve done this analysis on many keywords and I’m always surprised when I see a company from hundreds of miles away ranking organically for competitive keywords! Without further ado, let’s kick this into high gear and analyze some SERPs. Open the file. Trim the URLs to the root domain and remove the http and www’s. Head over to Rank Tank’s “Bulk Business Address Finder by Domain” tool and add your trimmed URLs to the Google spreadsheet. Not all of the businesses will have a business address that can be easily located by the tool. If you are working with a small amount of websites, you can just visit the remaining websites and grab their address. Sometimes, you won’t find an address. You will therefore have to exclude them from the report. But, be sure to reach out to the business owner to let him know about your services! A link to the industry report could also be helpful 😉 Remove all content from the spreadsheet except for the column headers and the business information. Then download the spreadsheet as a csv. Head over to Google’s My Maps. Create a new map. 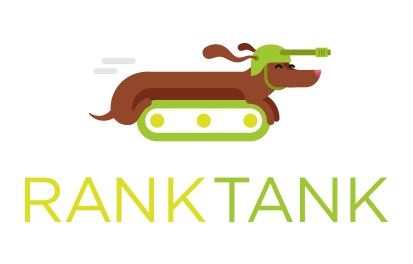 Click the “import” link, and import the csv from Rank Tank. You can add as many datasets as you like. However, for this example, I’m just going to select “Paste Domains” and “Address” If this document is going to be shared with clients, you may want to change “Paste Domains” to just “Domains”. Now, we need to analyze the results and determine if there is a centroid. In my example, I can see that I have three outliers. One outliner is in South Florida. The two others are in Wesley Chapel, Florida. The remaining businesses are in Tampa. Now, we can zoom in and see if there is a cluster or the organic equivalent of the “Google+ Local Centroid” in Tampa. In the screenshot below, we see a small cluster about 5 miles West of downtown Tampa, just like the 7-Pack results for this keyword. There are also four businesses that are in or around Tampa. Based on the two businesses in Wesley Chapel, and the four businesses in and around Tampa, I can confirm that while it’s ideal to be 5 miles West of Tampa, a business can still have a good chance of ranking if they are generally in the Tampa area. This is just one ranking factor out of many. This analysis is focused essentially on two goals. The first goal is to identify the ideal location for a business aiming for this keyword. The second is to determine how important proximity is for this keyword. We know that in this keyword, proximity is VERY important for the 7-Pack rankings, but is somewhat less important for organic rankings.Even if the centroid may change, it is always great to know how a business stacks up against the competition for the “proximity” ranking factor. It’s something that I analyze for every local SEO client. I hope that you enjoyed this write-up. If you have any questions, I will be happy to answer them here or on Twitter.You can view the finished map here. Chris Sanfilippo is marketer specializing in SEO and Reputation Management. He is the founder of Rank K.O. 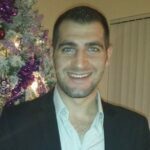 and his content about reputation management can be found on the company blog and resource center. I am seo Consultant, hope it will help me a lot !